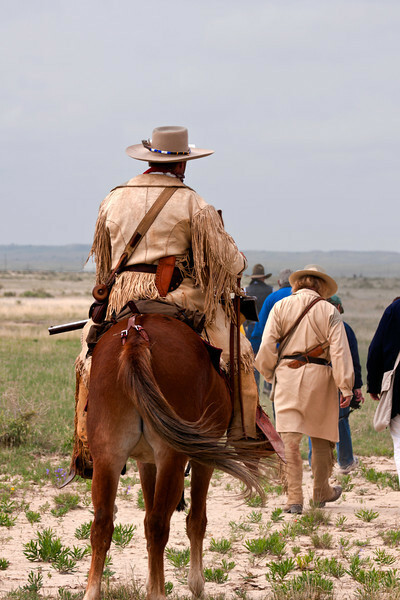 Come and spend a day on the Stanta Fe Trail. Experience the life of the 1860's as it might have been. Looking at the endless horizon. Watching the sky for rain or spelling the sweet smell of sage and Yucca blossoms in spring. Kick the dust and watch out for snakes. Where will we find water? This is a fun way to meet people and learn what life might have been like in this savagely beautiful country before you and I came.